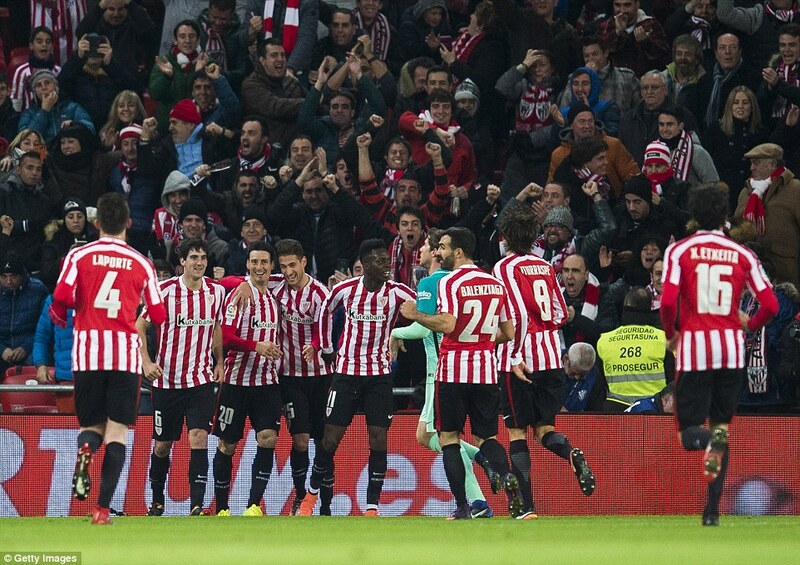 With two goals in the first half and two red cards in the second, Athletic Bilbao earned a tight victory over Barcelona in this brutal Copa del Rey last-16 clash. 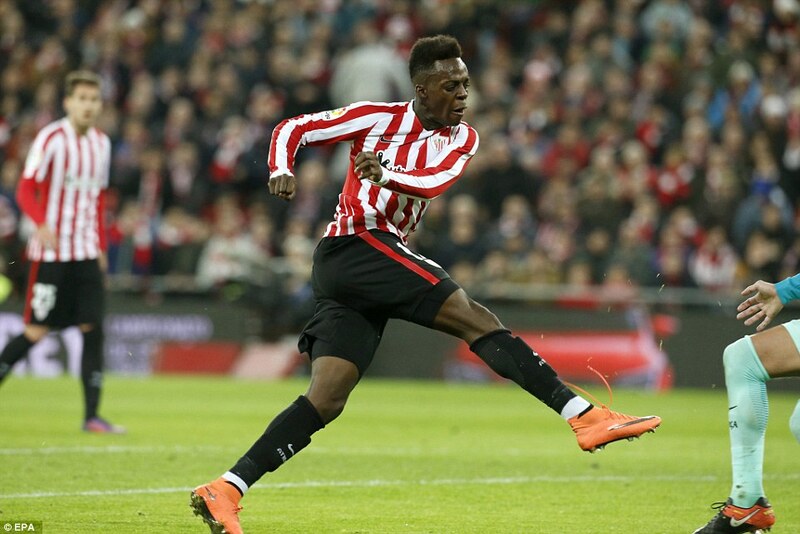 Aritz Aduriz and Inaki Williams scored twice in the space of three minutes to stun the visitors, but Lionel Messi’s bludgeoned free kick helped Barcelona force their way back into the game. 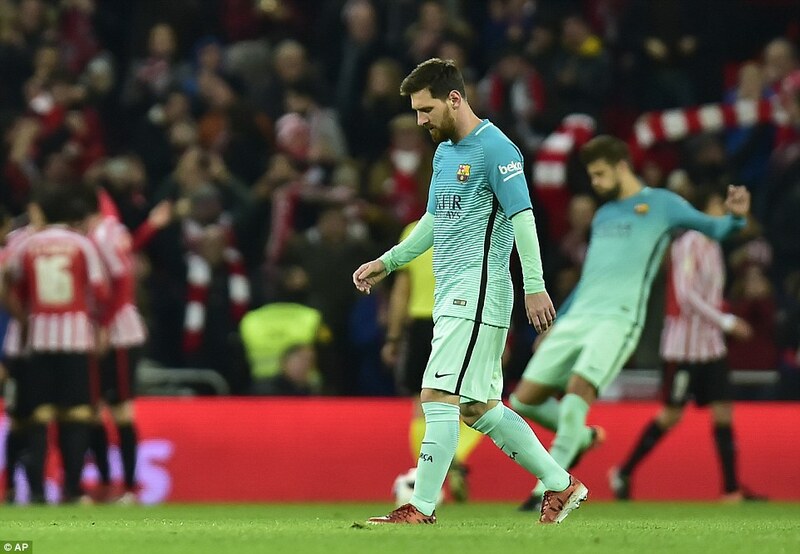 Raul Garcia and Ander Iturraspe were both sent off for fouls on Neymar, who was furious at not being given a penalty too, before Messi struck the post in the last minute of stoppage time to leave Athletic with the advantage going into next Wednesday’s second leg. Luis Enrique picked his strongest side, anxious to get off to a good start in 2017 as the club continue their battle on three fronts, although the dream of repeating the treble they earned in 2014-15 is fading. 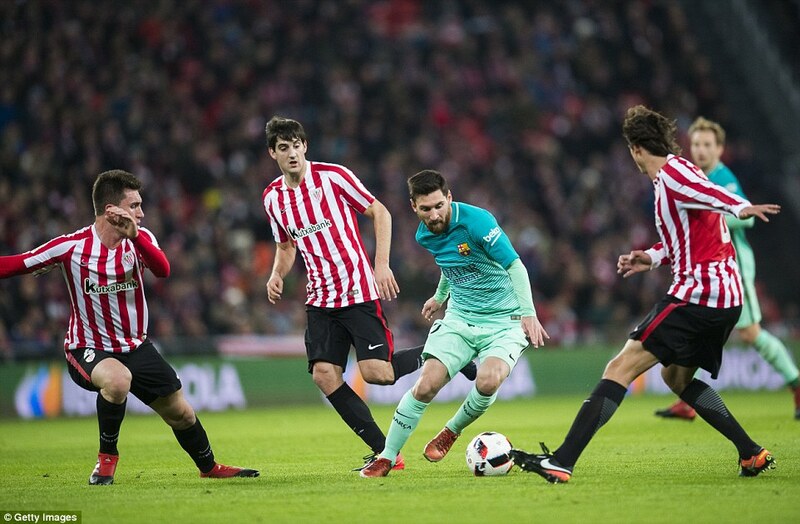 The current Spanish cup holders didn’t get off to the quickest of starts, with Athletic making the first incursion when Mikel San Jose nodded wide of Marc-Andre ter Stegen’s near post. Barcelona’s German goalkeeper has already suffered at the defensive midfielder’s hands in the San Mames at the start of last season, when his drive from the centre circle beat the out-of-position goalkeeper, during a 4-0 humiliation for the visitors. 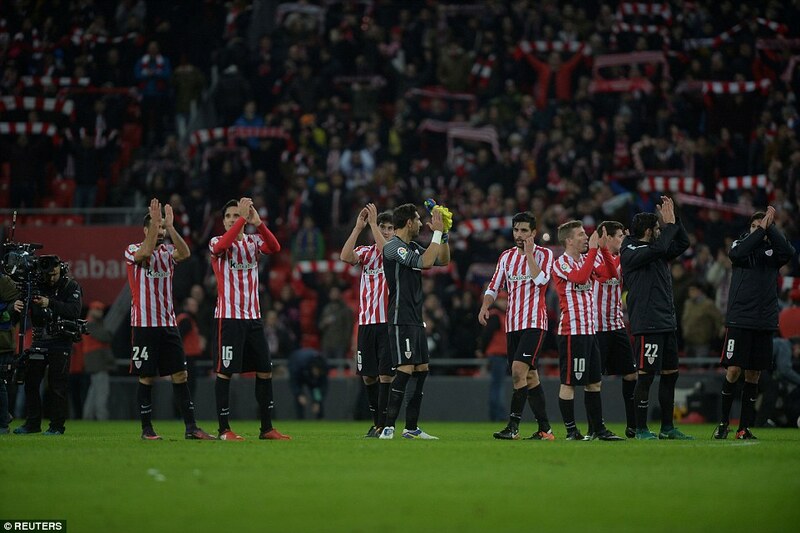 Although they hit back with Neymar trying to make inroads down the left, it was Bilbao who drew first blood. 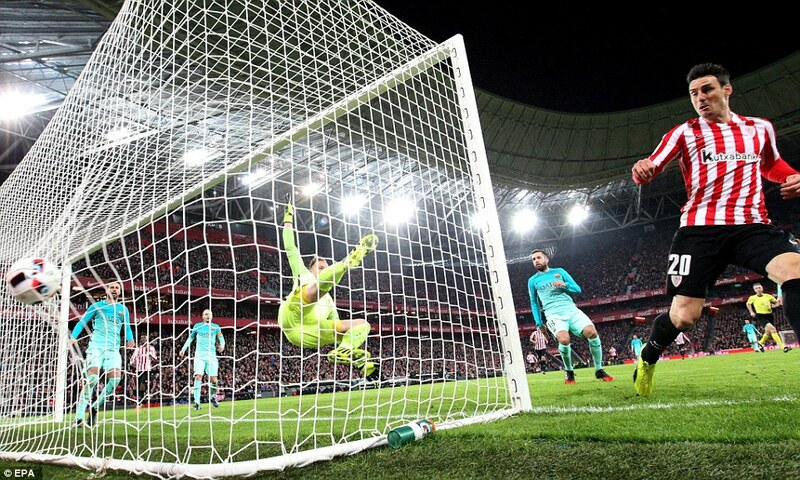 Veteran hitman Aduriz opened the scoring after 25 minutes, nodding home from close range after Barcelona captain Andres Iniesta gave the ball away in midfield. It was a rare mistake from the playmaker, one capitalised on brilliantly by the striker who turns 36 in January. To watch him play you wouldn’t know it — Aduriz is as lethal as any other forward in the division, even the world, and he turned provider just three minutes later as Athletic stunned Barcelona with a second goal lashed in by Williams. 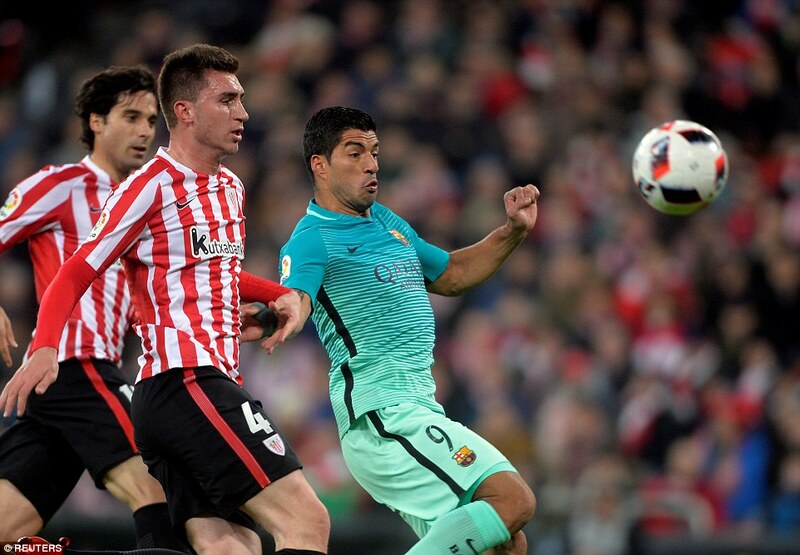 Aduriz was in the thick of it and showed the lesser-discussed dark side of his game when he attacked Samuel Umtiti at a corner, punching the Barcelona defender in the neck. Winded, Umtiti gasped for breath although the officials did not see the incident properly and ended up booking both attacker and victim. 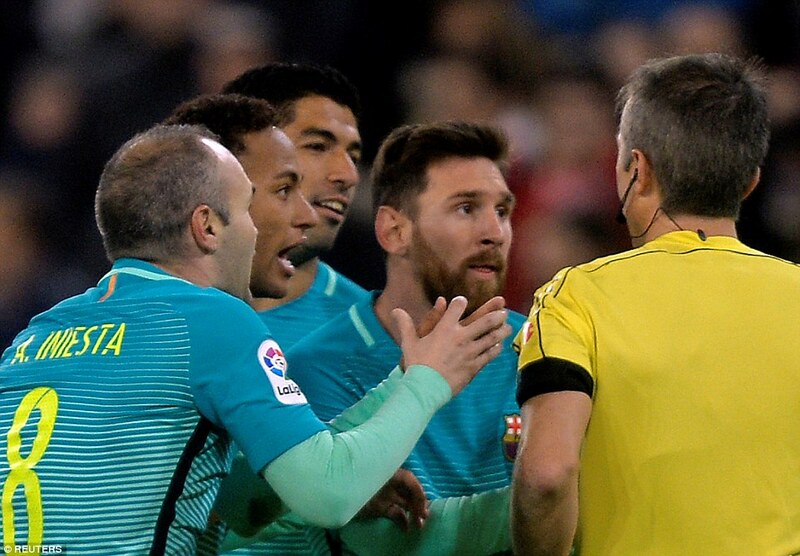 If that riled up Barcelona, David Fernandez Borbalan’s denial of a penalty to Neymar a few minutes before the break was the proverbial red rag to a bull. 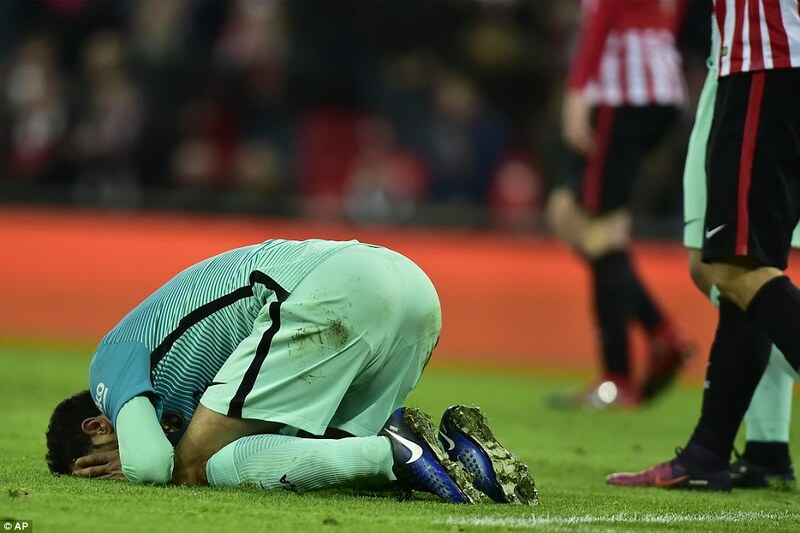 Xabier Etxeita tripped the Brazilian in the area but Borbalan waved away furious Barcelona appeals, before booking Iniesta, Jordi Alba and Sergio Busquets in the space of a minute as the visitors lost their heads. Neymar went into the tunnel at half-time having words with the referee and emerged from it 15 minutes later doing the same. 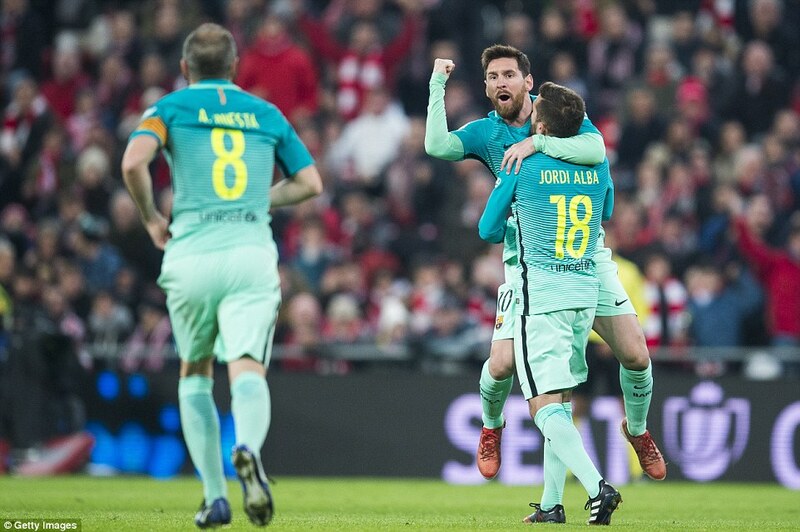 Messi got Barcelona back on track early in the second half with a free kick that Gorka Iraizoz should have kept out. 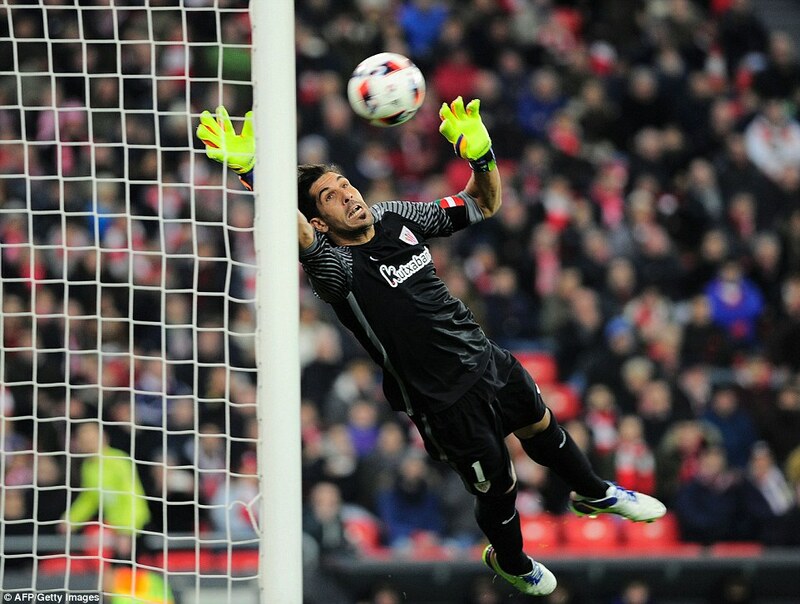 The Basque goalkeeper pushed the ball onto the crossbar and it bounced into his goal before he clawed it out, with the officials correctly awarding the goal, despite his sly attempts to mask it. The goal masked a below-par display from the Argentine, still a little rusty from his extended break over the Christmas period, while the same could be said of his strike partner Suarez, although Neymar was closer to his dangerous best. 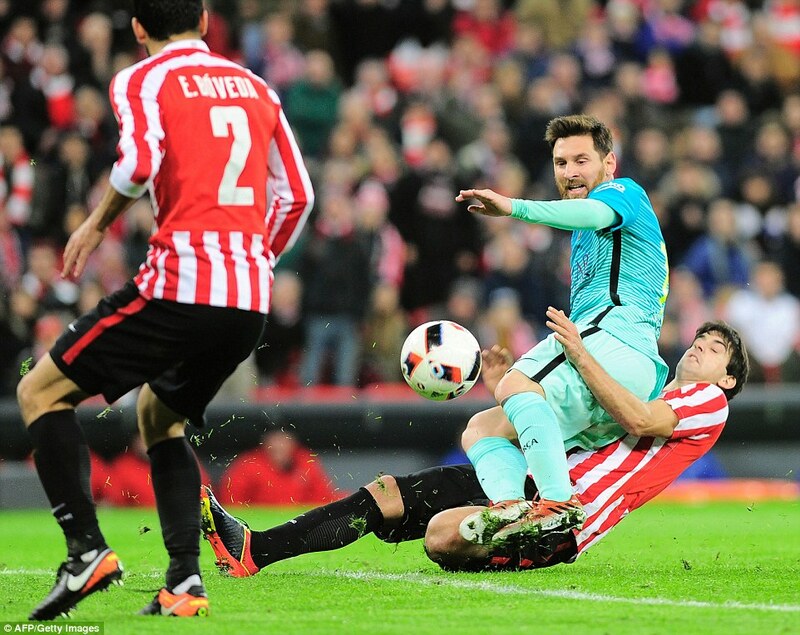 Athletic’s aggression eventually counted against them when Raul Garcia received his marching orders for fouling Neymar, earning his second yellow card, with 15 minutes to go. 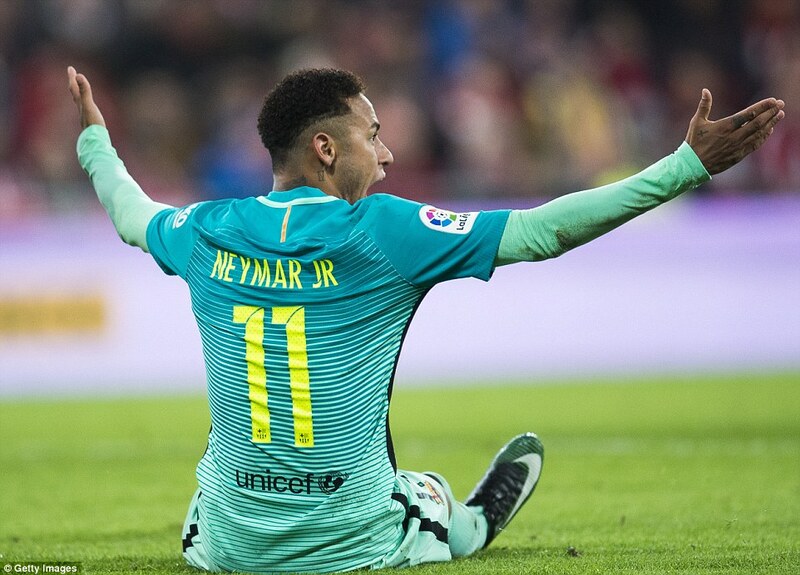 Boos for Neymar and applause for the battling midfielder followed, exemplifying the tone set by the team’s performance. Barcelona nearly scored an instant equaliser when Messi danced away from his marker in the box and was poised to pull the trigger, but San Jose’s stunning tackle denied the No 10 in the nick of time. 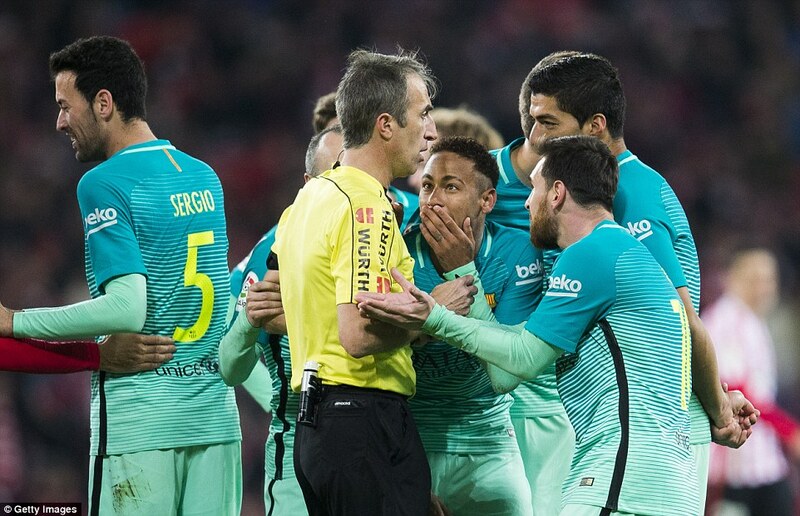 Another red card for Athletic followed when Iturraspe received his second yellow card for another swipe at Neymar, leaving them to play the final 10 minutes with just nine men. They survived, but to progress they have to go another 90 minutes at the Nou Camp which will likely be just as thrilling — and perhaps just as savage too.